Vivo X20 Plus is an upgrade of the Vivo X20 , as it comes with more features to the previous x20, it sports a 6.3 inches display screen , it runs on Android 7.1.1, it supports 4G LTE, and its powered by a Snapdragon 660 processor. 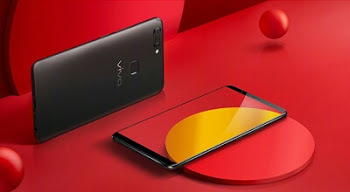 The Vivo X20 plus comes with a 4GB RAM, 64GB inbuilt storage, its also comes with a double 12-megapixel and 5-megapixel rear camera setup, 12-megapixel frontal selfie camera, unique finger print scanner and packed up with a 3,900mAh battery capacity. ➽ COLORS Matte Black, Gold, Rose gold.